What Makes an Healthy Lifestyle More Difficult Among Seniors? Whether it is your doctor, teacher, parents, or even your neighbor, eat well and exercise tend to be the go-to advise that we hear ever since we were growing up as a child. But It’s no secret that many of us fail to follow these advice and live a rather unhealthy lifestyle. This may not be surprising to any of us, but the United States is statistically the most obese nation on this planet. When high fat and high sugar content dominate the food market as the cheaper and more convenient options for consumers, it naturally makes it more difficult for many people to stick with any commitment to a healthy diet. Furthermore, with aging comes physical slow downs among seniors, many elderly Americans are not be equipped to handle the time and effort required to prepare a meal, let alone an healthy one. A healthy lifestyle also requires staying active, which can present an additional level of difficulty for seniors at an old age. Arthritis, joint stiffness, back pain, and others are just some of the common ailments seniors experience. Despite the pains and aches, that should not be an excuse for seniors to abstain themselves from exercising and keep their mind and body strong. If your elderly loved ones are hindered by physical limitations, what can be done to keep up a lifestyle that includes healthy meals and staying active? First, it is important to access the circumstances of the senior’s health. For instance, joint pains can affect the mobility of the senior around the house. In the kitchen, that can translate into difficulty preparing food like chopping vegetables, opening packages, or even simple tasks like cracking an egg. Depending on the severity of the symptoms, however, it might be crucial to empower the seniors get involved in the meal preparation process so they don’t feel hopeless and helpless. While having an in home caregiver with meal preparation experience is great, it does not mean the seniors need to be completely shut out of the process! If eating healthy means seniors cannot enjoy their favorite food, it can be very discouraging for the seniors who has accustomed themselves to certain taste. Allowing cheat day once in a while can make the road to a healthier diet a lot more acceptable. Let your elderly loved ones have a favorite snack, a burger, or even a slice of pizza. As long as it is done in moderation, it will not be a significant impact to their health. Exercising is important, but it also needs to be done with caution for seniors who have been inactive for a long period of time. As a result, if seniors are to begin with a fitness program, they should start off slowly to adjust their bodies to the fitness demands and avoid injuries. Sometimes it is easier to stick with a fitness program if doing it in a social setting. Many local recreational center and community centers offer classes that brings like-minded elderly individuals together to reach their fitness goals. Remember to note that it is not necessarily the intensity of the workouts that help seniors stay healthy, but rather making it a routine for seniors so they’re committed to this lifestyle. As previously mentioned, diet and exercise are synonymous to healthy lifestyles for a reason. If seniors are able to commit to this lifestyle, they’re better equipped to handle the difficulties that naturally comes with aging. Don’t let age be an excuse for a healthy lifestyle, seniors can find an trustworthy elderly caregiver with meal preparation experience with A-1 Home Care. 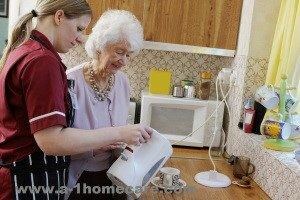 We have affordable elderly home caregivers available 24 hr a day, 7 days a week. Each equipped with experience to improve with your senior loved one’s quality of life while combating social isolation when the family requires to be away. At A-1 Home Care, we proudly serve seniors in the Los Angeles and Orange County since 1991. As the leading home health agency, our in-home care solutions include mobility assistance, meal preparation, and services that aid those with arthritis and other physical limitations. Help with a healthier lifestyle is on its way. Seniors living in the communities of Beverly Hills, Marina Del Rey, Santa Monica, and neighboring cities, please don’t hesitate and call us at (562) 929-8400 or (949)650-3800 today for a free at home assessment! Do your loved one’s kidneys require an additional level of care in the home– and you’re ready to invest in the best going forward? A-1 Home Care is proud to serve people from all walks of life, including Asian, Middle Eastern, Jewish, and European, with in-home care solutions that additionally include hospice care for the terminally-ill and short-term services for temporary rehab assistance. Fully Licensed, Bonded, and Insured, A-1 Home Care is the caregiver agency trusted most in Southern California– because being second best has never been an option. If you want to discover more about the exceptional caregiver agency called A-1 Home Care, then call a compassionate caregiver at (310) 657-8780 or (562) 929-8400 today. A-1 Home Care is glad to service neighboring communities in Beverly Hills, Studio City, Century City, Culver City, and Downey. Do you have a loved one who is spending time in the hospital, and could use some companion care for the duration of his/her stay? At A-1 Home Care in Los Angeles, our friendly caregivers provide after surgery care options that keep seniors upbeat and well-mannered during the entirety of their hospital stay. Each caregiver service is affordable as each of our caregiving professionals understand that providing top-quality care at lower-than-the-rest prices keeps customers right where they should be– within our loving arms for as long as they need to be! A-1 Home Care provides care to people from different ethnic backgrounds and economic influences, including Jewish, Asian, Middle Eastern, and European, with the most affordable caregiving options throughout Los Angeles and Orange County. Each caregiver at A-1 Home Care is dedicated to offering only the best in-home care options that are as diverse as they are long-lasting, as our senior services even include short-term care in the home. It’s this dedication to providing only the best– and leaving behind the rest!– senior care options that has kept A-1 Home Care at the pinnacle of caregiving for decades and counting already. To find out more about the exceptional after surgery care options available across Southern California, contact a friendly caregiver today by dialing (310) 657-8780 or (562) 929-8400. A-1 Home Care additionally offers care to neighboring communities in Century City, Santa Monica, Beverly Hills, Marina Del Rey, and Culver City. Do you have a loved one who is recovering from a recent procedure or getting over an illness? Perhaps they are on the road to recovery but could use some helping hands and a heart of gold to make sure they arrive their safely? Here at A-1 Home Care in Los Angeles and Orange County, our skilled and compassionate staff of expert short-term caregivers can offer your loved one the assistance they need to move forward in their recovery in the comfort and security of their very own home. We provide top level In Home Care to individuals of all age groups and backgrounds including European, Jewish, Middle Eastern and Asian. Our staff is expertly trained and hand selected to ensure a perfect match and maximum compatibility. Every one of our caregivers bring years of experience to the table to help maintain independence, dignity and quality of life through any unexpected change of events. Experience in the field offers peace of mind in knowing that your loved one is being cared for by someone who has been there before and knows what it takes to succeed. 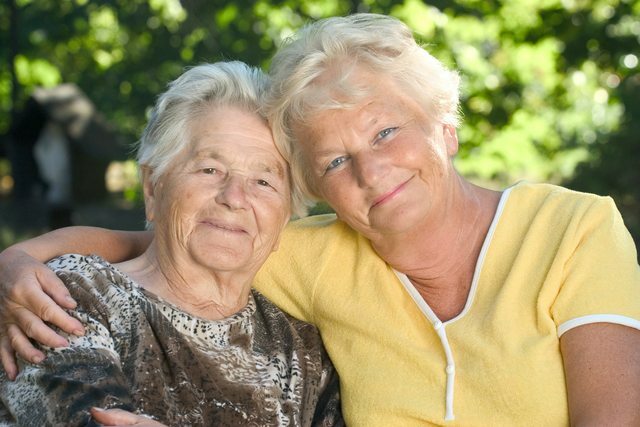 There are many benefits that a short-term caregiver can provide such as allowing shorter stays in hospitals or nursing home as recovery may continue in the home and your loved one does not have to be alone. 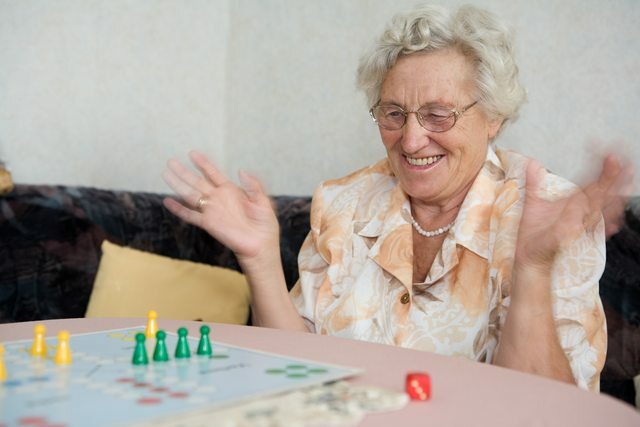 For example, our respite at home care services provide relief for family members who may be struggling adjusting to new responsibilities as well as serve as a knowledgeable companion to ease the mind of your loved one adjusting on new dependencies. A trusted caregiver can lighten the mental load of an entire household. Short-term caregivers can speed up recovery by ensuring the patient receives the expert attention and care they need during these pivotal times. At a crossroads of recovery, our team will guide the patient down the path leading quickest to betterment. Short term services and duties may include but are not limited to: grocery shopping, meal preparation, running errands, picking up medications, house cleaning and even caring for pets. For Quality Home Care, contact us today at (562) 929-8400 or (949) 650-3800. Dementia, including the most common form Alzheimer’s Disease, and related neurodegenerative conditions are dramatically rising in frequency as people live longer and our population ages,” says Robert Richards, Lead Professor of the Biological Sciences Department at the University of Adelaide. Researchers at UA have developed a new theory for causes of dementia, involving an out-of-control immune system, according to a publication in the journal Frontiers in Neuroscience. The cognitive decline associated with dementia can be attributed to the body’s autoimmune inflammatory response, causing brain cells to die. Symptoms of Alzheimer’s include wandering, repeating questions, forgetting one’s own name and names of family members, inability to groom oneself and carry out other basic tasks. A-1 Home Care offers the highest quality of dementia care in LA County at the most competitive rates. What does 24-hour Alzheimer’s Care entail? A-1 Home Care has a diverse team of caregivers, certified nurse aides, certified home health aides and licensed vocational nurses ready to serve you 24 hours a day, 365 days a week. Our professional and delightful round-the-clock care includes non-medical assistance with meal preparation, light housekeeping, medication reminders, lifting/transferring, grooming, bathing, personal care, and transportation to appointments no matter how far they are from home. Your elderly loved one will enjoy the quality of elder care from our highly skilled and experienced caregivers as they become part of the family. Established in 1991, A-1 Home Care is a licensed, bonded and insured home care agency serving seniors in Huntington Beach, Garden Grove, Anaheim Hills, Downey, Los Angeles, Brentwood and other cities throughout Southern California. Each caregiver who comes on board with A-1 Home Careis required to pass an extensive criminal background check, DMV record check, and character assessments. All professional references are verified. Your satisfaction, security and protection are our priority, so we make it a point to deliver you the best Alzheimer’s and Dementia Care at the lowest rates possible. For quality Alzheimer’s and Dementia Care, contact us today at (562) 929-8400 or (949) 650-3800. Does your loved one suffer from a genetic disorder that necessitates certain specific accommodations so that he/she can relish a happy life going forward? At A-1 Home Care in Los Angeles and Orange County, genetic disorders like Prader-Willi Syndrome, Hunter Syndrome, and Angelman Syndrome are treated gently and with affectionate caution at all times– because A-1 Home Care understands the lasting results that the perfect caregiving can bring. Genetic disorders can cause life to be difficult for people at any age when they don’t receive meaningful and purposeful care, making it very important for family caregivers to be patient while investing in the leading home care options available in all of Southern California. A-1 Home Care offers certified and compassionate caregiver professionals so that elders with genetic disorders can receive the care they need from the helpful hands of professional caregivers they always trust to have their best interest. These always affordable and equally exceptional caregiving solutions extend to patients from all walks of life, including Jewish, Middle Eastern, Asian, and European, so that every elder can experience the reality of having better home health. A-1 Home Care also provides caregiving services such as hospice care for the terminally ill, respite care for overworked and burnt out family caregivers, and even postpartum care for recent mothers needing assistance in the home. It’s this dedication to providing the best– and leaving behind the rest!– that has kept A-1 Home Care at the pinnacle of in-home care provision since its inception in 1991. A-1 Home Care is the caregiving agency of choice in all of Southern California, and can be reached when you dial (562) 929-8400 or (949) 650-8400 today. A-1 Home Care offers the perfect in-home care solution for individuals experiencing symptoms of Multiple Sclerosis. Our affordable 24 hour care includes assistance with meal preparation, light housekeeping, laundry, prescription pick-ups, personal care, bathing, grooming, oral hygiene, transportation to appointments and more. You can also arrange for live-out care services a few times a week, every day of the week, or Monday through Friday. 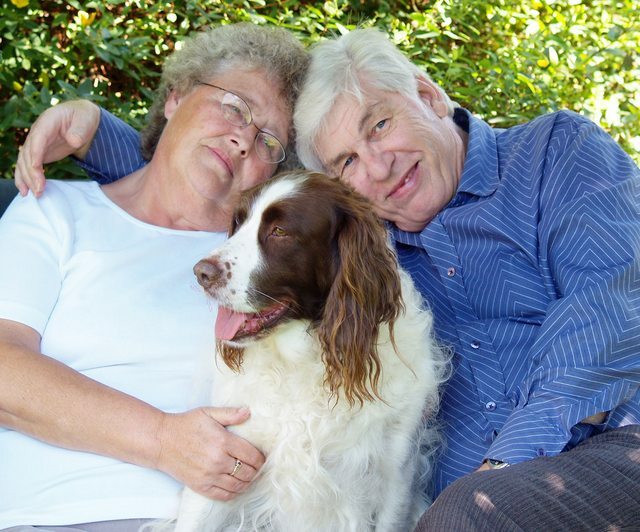 We are very flexible with your loved one’s ever-changing needs with this unpredictable disease. Established in 1991, A-1 Home Care is a licensed, bonded and insured home care agency dedicated to delivering exceptional in-home care services for seniors, adults and children. We cater to all families of all financial backgrounds. Our top-notch caregiving services are available to you at the most competitive rates in LA County and Orange County. As one of the few state-licensed home care agencies in California, you can rest assured that your loved ones are protected from fraud, theft, scams and predators. Each live-in caregiver we recruit is required to pass an extensive criminal background check, and all professional references are verified. For more information about 24 hour Multiple Sclerosis care, call A-1 Home Care today (562) 929-8400 for caregiving services in LA County or (949) 650-3800 for services in Orange County. A-1 Home Care covers a large geographical expanse, ranging from Malibu, Santa Monica, Beverly Hills and Hollywood to Laguna Beach, Newport Beach, Costa Mesa, Fullerton, Fountain Valley and Anaheim. Are you having trouble with your elderly loved one’s aggressive behavior? Does he refuse to stop using foul language even though you’ve had many conversations with him about it? The use of offensive language among the elderly is more common than you know; it’s very normal for seniors to have this problem if they have a urinary tract infection (UTI), Tourette Syndrome, or especially Alzheimer’s and/or dementia. Remain calm. Maintaining your composure will calm down your loved one when he sees that you are not getting upset by his behavior or words. Use a firm tone of voice. In the early stages of dementia, it’s still possible to set boundaries with your loved one. Sometimes it works and sometimes it doesn’t, but if it doesn’t, remain calm and understand that his actions and words are most likely involuntary. Go with the flow. Preserve your energy, enjoy the day and let his words roll off your back. Redirect his attention. Change the subject of the conversation. Bring up happy memories from the past. Turn on his favorite TV show if you’re at home. When in public, don’t enable her by offering up excuses for her behavior. Don’t say she’s having a “bad day” when Alzheimer’s is the real issue. If you feel compelled to explain her behavior to others, just say she has dementia. Most likely others will understand if they’ve been in your shoes; don’t worry too much about other people’s opinions about your loved one. A-1 Home Care is a licensed, bonded and insured agency that provides high quality Alzheimer’s & Dementia Care to seniors all over LA County. Established in 1991, A-1 Home Care has provided exceptional in-home care services that not only meet the needs of the elderly but also protect them from scam artists, predators, theft and fraud. All our caregivers are required to pass an extensive criminal background check, and we verify every professional reference. You can enjoy affordable 24 hour Alzheimer’s and Dementia Care 7 days a week, 365 days a year! For quality Dementia Care, contact us today at (562) 929-8400 or (949) 650-3800 or visit our website www.a-1domestic.com for services in Santa Monica, Hollywood, Pasadena, Burbank, Culver City, and other cities throughout Los Angeles County. How Do You Tell Your Loved One with Alzheimer’s That Your Mom or Dad Passed Away? Your parents are one-of-a-kind. In an age when divorce is rampant, your parents remained together and have been as lovey-dovey as they were when they first met. After many years of being married, they had to be separated because of their health issues; one went to a memory care home while the other stayed home with you and received 24-hour in-home care. Still, every week, you and your companion caregiver accompany your mom to visit your father, and although your mom has Alzheimer’s, she still has lucid moments when she remembers certain important dates and events. You recently received the unfortunate news about your father’s passing, but you haven’t broken the news to your mother yet. The family has been making funeral arrangements, but you cannot put off the news much longer because your mom still asks about seeing your dad. Should you tell her? What might happen if you break the news? Seniors with Alzheimer’s and dementia most likely will not remember the news. They will experience intense heartbreak for a while, but when they wake up again tomorrow, will they remember? Will they keep asking? If you tell her, you may have to repeat the bad news again. You don’t know how long it will take for her to quit asking; ask yourself first if you are taking measures to process your own grief before you spill the beans to your loved one. If you want to tell her now, you can say that your dad is in a better place. If she asks what that means, you can tell her that he passed on and let her grieve. Observe your own reaction to her grief; how often will you be able to handle watching her reaction if she keeps asking? Attend a Grief Recovery group in your community. There may be other members there who are or have been in a similar situation as yours. They can provide great advice on how to grieve properly for your late parent so you make yourself emotionally available for your mom without burning out. Everyone is different. It’s tough when an elderly loved one with Alzheimer’s because they may keep asking in years to come, but if you have a live-in companion care aide, that can help buffer the pain a little bit because you don’t always have to be the one to break the news to her every time she forgets. Your Alzheimer’s caregiver can find ways to soothe your mother’s pain and distract her with other things. A-1 Home Care was established in 1991 to provide high quality senior care at the most competitive rates in LA County. As one of the few licensed, bonded and insured home care agencies in California, A-1 Home Care not only provides exceptional 24-hour in-home care services but they also protect your elderly loved ones from scam artists, predators, fraud and theft. We offer a variety of services such as Alzheimer’s and Dementia Care, Multiple Sclerosis Care, Diabetes Care, Kidney Care, Cardiovascular Care, Incontinence Care and more. Our live-in and live-out home care services are covered by long-term care insurance and veteran benefits. If you are paying out-of-pocket, talk to one of our care managers about our easy financing options. For quality 24-hour care, call A-1 Home Care at (562) 929-8400 or (949) 650-3800 or visit our website www.a-1domestic.com for services in Santa Monica, Hollywood, Pasadena, Burbank, Culver City, and other cities throughout Los Angeles County. Most people have been touched by cancer in some way or another. There are a number of outside factors that can lead to the development of Cancer in an individual. There are also a number of ways to lower our risks of the disease. Let’s take a look at some steps we can make in our lives to live healthier. STOP SMOKING-Smoking cigarettes leads to exposure to hundreds of chemical, many are known to cause cancer. This unhealthy habit not only puts us in danger to cancer of the lungs, but also stomach, bladder, kidney, mouth and throat. There are many methods for kicking the habit available. NUTRIENTS AND FIBER-Fruits and vegetables such as broccoli, Brussels sprouts, cabbage, kale and watercress are rich in antioxidants and can protect our bodies from DNA damage. Berries rich in color are also helpful. MAINTAIN A HEALTHY BODY WEIGHT-Being overweight can raise the risk of the development of cancer in our bodies. Scientists have found a release from fat cells that will promote the growth of cancerous cells. MODERATION IN ALCOHOL-Overindulgence in most anything can be problematic. So true it is with booze. Certain types of cancer (such as cancer of the breast and liver) are associated with alcohol. The more we consume, the higher risk. Drink responsibly. MODERATION IN PROCESSED FOOD-Processed meats which can include sausage, hot dogs and bacon contain chemicals known as nitrates and these have been shown to linked to cancer. Healthier alternatives can include chicken or fish. A cancer diagnosis can be life changing, not just for the patient but their family members and loved ones as well. Having a trained professional familiar with the effects of cancer treatment and symptoms can really make a difference in the fight. No one should have to go through cancer alone. Our highly trained and caring Home Care Professionals are available on an hourly or live-in schedule. Call us today at 562-929-8400 or 949-650-3800 today for a free quote and to learn more about how we can help your family. Your loved one’s mood swings are common among people with Type 1 or Type 2 Diabetes, especially if the mood swings are accompanied by changes in sleep patterns, appetite, lethargy, low self-esteem, and depression. Rapid changes in blood sugar levels cause temporary mood swings which go away when glucose levels return to the target range. Changes in one’s mood may also be attributed to other factors, such as stress related to managing diabetes. If your loved one has depression, managing diabetes will become that much more difficult for him or her, and it snowballs into health complications and overall poorer outcomes. To avoid further diabetes complications, A-1 Home Care’s certified nurse aides will communicate regliarly with your physician and adhere to the treatment plan as prescribed by the doctor. Ranked as LA County’s #1 preferred agency in senior care, A-1 Home Care has been faithfully serving the elderly and their families for over two decades. Our high quality in-home care services are available to you at the lowest rates possible in California and as one of the few state-licensed agencies in California, A-1 Home Care guarantees senior safety and satisfaction. For quality Diabetes Care, contact us today at (562) 929-8400 or (949) 650-3800 or visit our website www.a-1domestic.com for services in Culver City, Santa Monica, Hollywood, Burbnk, Pasadena and surrounding cities.